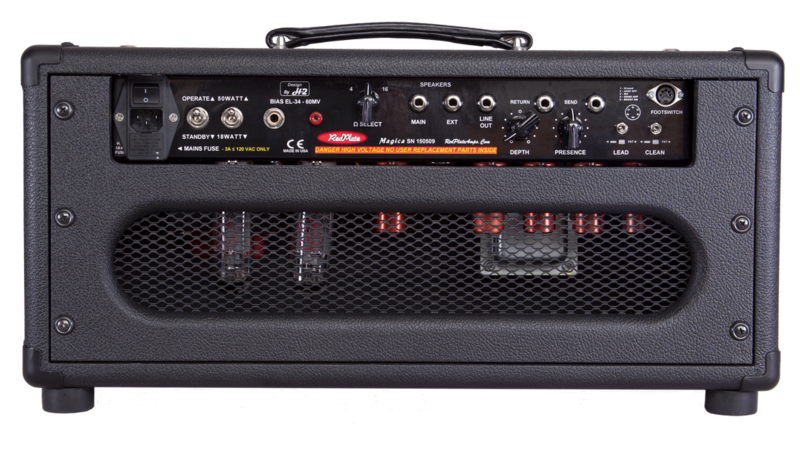 Featuring a Blackface inspired clean channel, a British inspired lead channel with two different levels of gain, an effects loop, and a 50 watt EL-34 output section. • 3-way Mid Q (mode) Switch - (Norm, Fat and Less) is the key to vintage midrange frequencies in the clean tones. • Pull Bright Switch – As the name implies, extends the upper frequencies. • Gain 1 – Lets you go from British clean to crunch (3 gain stages). • Gain 2 – Starts at crunch and continues to soaring sustain (4 gain stages). Depth control sets the effective frequencies of the presence circuit for cabinet tuning. Boost switch - Boosts clean and lead channels for more breakup and volume. Effects Loop – fully buffered all tube loop that works with both pedals and rack effects. 3-Button Foot switch – The foot switch lets you choose clean channel or lead channel, Gain 1 or Gain2, and Boost. 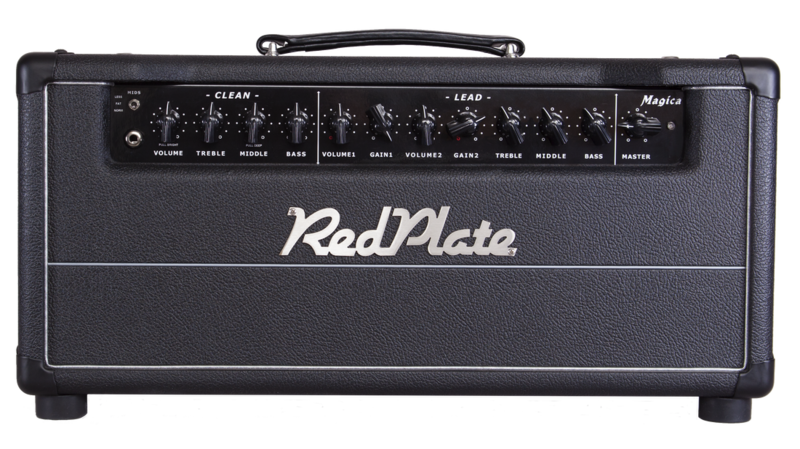 Available as a Head or 1x12 Combo, with a blackface or tweed clean channel, and with or without reverb. This video features the Magica with the blackface clean channel as described above. Doug Bossi plays the Magica with a tweed clean channel. The tweed clean channel has controls for gain, volume, tone, a six position mode switch, and a three-way bright switch. Guitar Player magazine featured a review of the RedPlate Magica! PremierGuitar Magazine introduces the RedPlate Magica!